Nonprofits can use fundraising software to organize all of their campaigns, track essential donor data, and analyze the results of previous campaigns to improve future ones. Additionally, fundraising software can help your nonprofit automate processes like inputting information directly into your donor profiles. 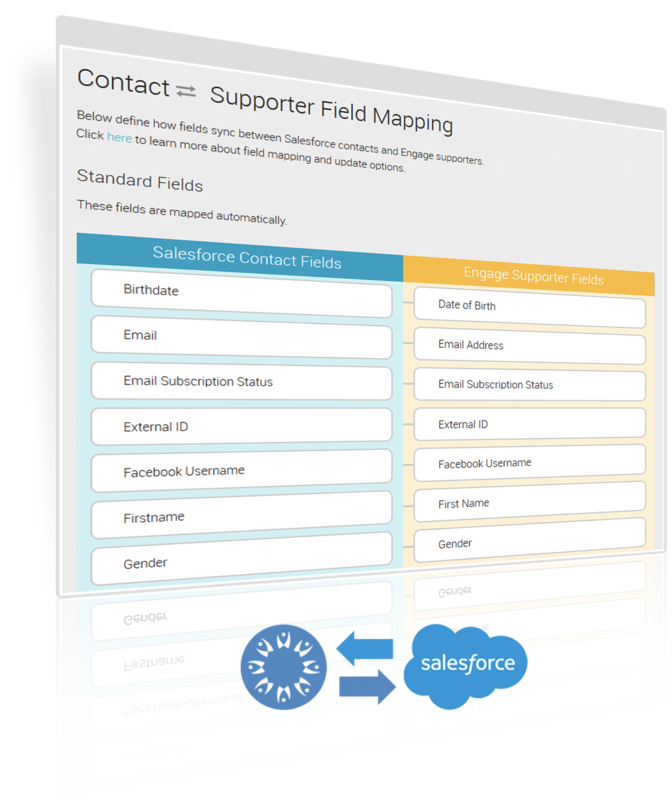 All the fields — email, address, donor name, etc. — that are captured on your donation forms can be transferred to your donor database. Since team members won’t have to manually enter information, they’ll have more time to cultivate long-lasting relationships with donors. From thanking supporters after they give or attend an event to regularly updating them on your nonprofit’s mission, a lot goes into managing donor relationships. Maintaining an up-to-date record of donor interactions can ensure that donors don’t receive repeat information. Fundraising software can help your staff keep track of when you reached out to donors and what information was discussed. Information on your nonprofit’s donor interactions can be accessed by everyone on the team so communications can be personalized and relevant to all your supporters. Nonprofits can use fundraising software to track the progress of campaigns and events. With information about average donation size, event attendance, and so much more, your team can analyze the results to see which strategies worked and which ones can be improved or replaced with a different approach. A deeper look into your fundraising analytics may reveal ways you can boost your campaigns before they end.For instance, if you see an online fundraising campaign isn’t on track to reach its goal, it might be beneficial to generate more excitement via social media and email marketing. It actually IS getting harder! Cut through the clutter with precisely relevant messaging. Drive lasting relationships with grassroots supporters. Inspire action on every channel online and offline. Fundraising software refers to any software solution that was built specifically to facilitate nonprofits’ fundraising efforts. 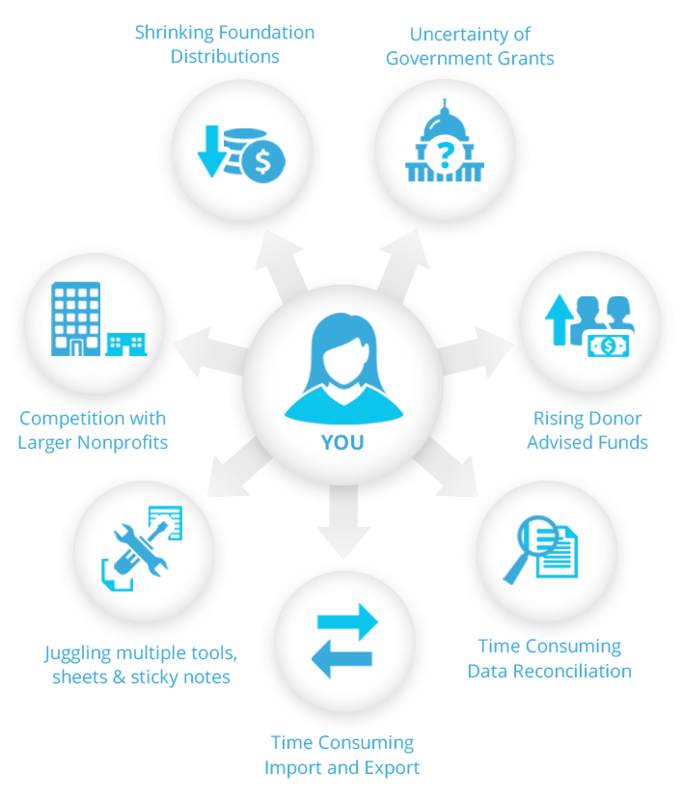 These platforms make the fundraising process more successful by enabling nonprofits to build individualized donor stewardship strategies and by optimizing the donation process, data management, marketing and communications, and other efforts. How will fundraising software help my nonprofit? How do I choose the right fundraising platform? How is Salsa's fundraising platform for nonprofits different? What features does Salsa's fundraising software offer? Salsa's fundraising software for nonprofits is comprehensive. From standard donation forms, to peer to peer fundraising, to online advocacy, Salsa's suite provides nonprofits with everything they need for online fundraising. Plus, with donor management and marketing software, nonprofits can do far more than simply collect donations. Is Salsa's fundraising platform mobile-friendly? Can nonprofit fundraising software increase donor retention? 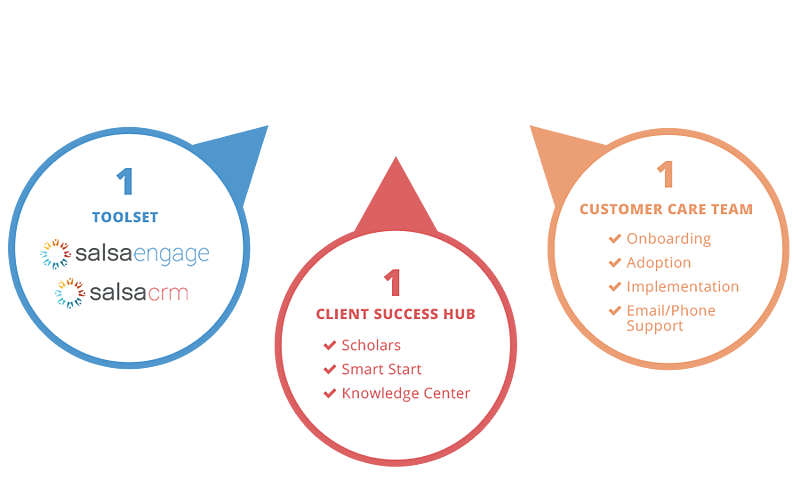 Do I need both Salsa Engage and Salsa CRM? It depends on you organizational needs. 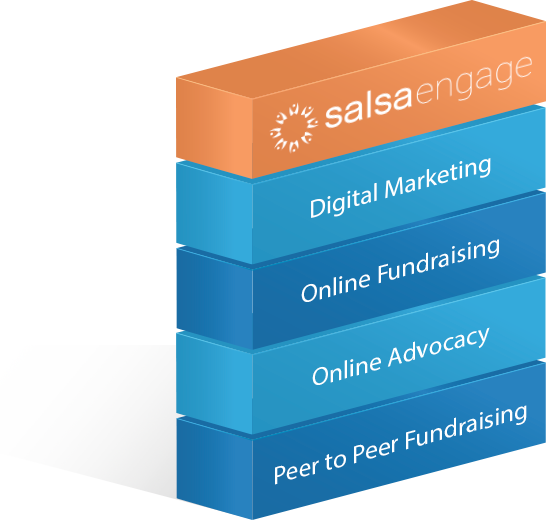 Salsa Engage is strictly for online fundraising, marketing, and advocacy. 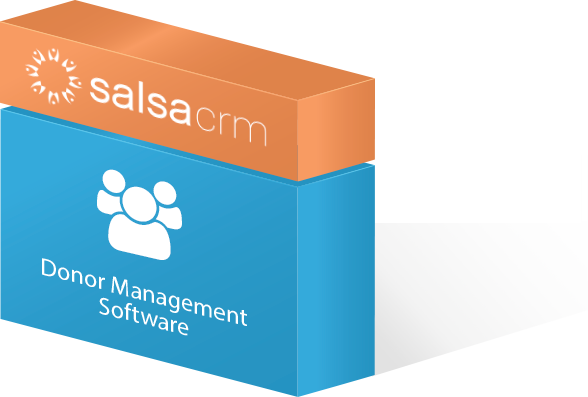 Salsa CRM is a centralized database for heavy development work. It includes robust reporting, donor and donation management, offline fundraising such as major gift cultivation, and direct mail fundraising. How much does Salsa's fundraising software cost? Purpose Built Marketing Automation, Fundraising and Advocacy Software for Fundraising and Advocacy Nonprofits. Everything you need to be successful. Or Sync Seamlessly With Salsa CRM! By switching to Salsa Engage and Salsa CRM, we've been able to fully integrate our P2P Fundraising and our online fundraising with our database. This is a huge time saver. We've also been able to take advantage of features like honor/memorial giving and event management that we were unable to do before. Before you interact with a donor, you need to plan your approach. Your plan should involve collecting and recording personal information about your donor, identifying the type of donor, and looking at the donor’s past interactions with your organization. Because fundraising software houses all of your donor data under one system, you can easily gather and record this information via the donor’s constituent profile. Be sure to make note of any communication preferences, interests and hobbies, and connections to your organization. The more information you have, the more personalized and tailored your outreach will be. Once you’ve gathered all the information and created a plan, it’s time to reach out to your donors. Your initial outreach should consist of informational content that helps the donor understand your mission. Use fundraising software to segment your donors based on factors like location, average gift size, interests, and age to ensure that donors receive relevant information. Segmentation allows for personalization. And when you personalize your messages, you greatly increase the chance of a donor reading or hearing something that interests them. Proving you’re a source of valuable information makes it easy to solicit donations. You’ve identified the donors you want to reach out to, and you’ve engaged them with information they find valuable. Now it’s time to make your ask! The best way to ensure donations is by making the giving process quick and easy. Fundraising software allows nonprofits to set up multiple donation pages for different campaigns that might draw in donors with specific interests, as well as mobile-friendly options that make on-the-go giving convenient. When asking for donations, include multiple ways to give (think: a link to your online donation form or instructions on how to give via text message) so that donors can choose the option that’s most convenient for them. Getting donors to give once is only half the battle. Your plan should also include ways to encourage donors to give again, volunteer, or attend an event. Your staff will learn more about a donor’s passions and interests when they’re engaged in your nonprofit’s activities. Tracking all your donor interactions via your fundraising software can help you discover trends in their giving behaviors, which can influence your personalized outreach. Not all fundraising software is created equal; some tools will have wide-ranging capabilities, while others may be intended for a specific type of nonprofit. Your organization needs to evaluate what features matter most. Create a list of your must-haves and start researching vendors that meet those requirements. Once you’ve found a couple vendors that cover your needs, reach out to them via phone or email. The initial contact is a great opportunity to ask questions about areas that weren’t clear from their marketing materials and to explain what your nonprofit is looking for in a fundraising software. If the first call goes well, the next step is to request a demo. While you’ve probably done a lot of research on the software’s capabilities, the best way to see if a tool will be a good fit is to test it out! Most vendors offer free demos or a trial period, allowing you to try some of the features for yourself. The last step you should take before picking a vendor is to look at reviews online or ask other nonprofits about their experience with the software and the vendor. In addition to the software’s capabilities, you also should find out if the vendor has good customer service and if they help with data migration and integrating the software with your existing tools. Now it’s time to pick your provider! Once you’ve selected the vendor you want to work with, they’ll create a contract that outlines the terms of purchase. Use this time to ask any additional questions about how they’ll help you set up, like providing manuals or training videos. After you sign the contract, you’re ready to start using your new software. Want to Learn More About Fundraising Software With Salsa? 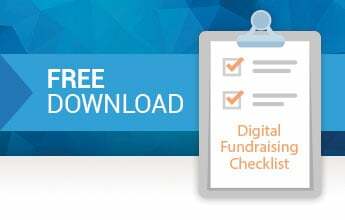 Download this comprehensive "Digital Fundraising Checklist and unlock the strategies, best practices, and tools you need to inspire supporters to donate, fundraise, or take action online. Salsa users grow their annual fundraising revenue at 6X the industry average. 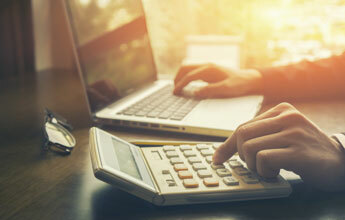 See what your nonprofit's return on investment could look like with this easy ROI calculator! In this #SalsaSuccess story you will discover how one environmental nonprofit micro-targeted their Facebook ads and grew their list with Salsa Engage.